Sometimes, you’re just born with it. 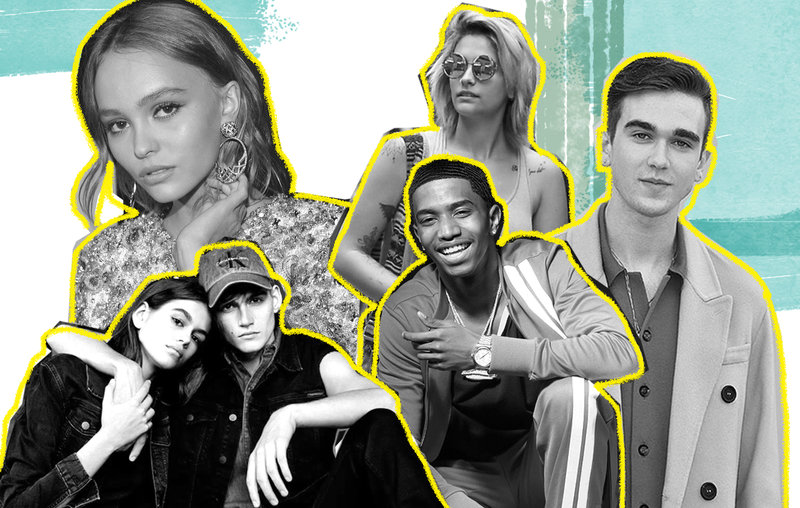 These six models all have one thing in common—one or both of their parents are celebrities. Some claim that nepotism models ruin the industry and cause others to have less of a fighting chance at becoming famous. While these models may have had an easier time getting into their careers, it doesn’t have to mean they are any less hard-working. The newest it models, Presley and Kaia, have quite the legacy to live up to—their mom is legendary supermodel Cindy Crawford. Presley first walked the runway at Jeremy Scott’s Moschino Resort show at age 16. Since then, he’s walked for Dolce & Gabbana, Tommy Hilfiger and Burberry, in addition to countless others. Kaia made her runway debut in Raf Simons for Calvin Klein only four days past the legal age limit to walk on the catwalk at New York Fashion Week 2017. However, her career started way before 2017. At only age 10, she became the first face of Young Versace. Nowadays, Kaia is blowing up the fashion world. She’s walked for Chanel, Marc Jacobs, Burberry, Moschino and Fendi, among other brands and appeared to be a mainstay at New York Fashion Week 2018. For the rest of 2018, both siblings are keeping busy. Presley booked an Omega Watches campaign as his mom has done since 1995. Kaia most recently became the face of Chanel’s spring-summer 2018 handbag collection. Together, they are currently featured in Calvin Klein’s Our Family campaign. “[Modeling together] makes [the industry] a lot less lonely,” Presley told People Magazine in February. Paris Jackson first entered the spotlight in 2009 after the death of her father, Michael Jackson. 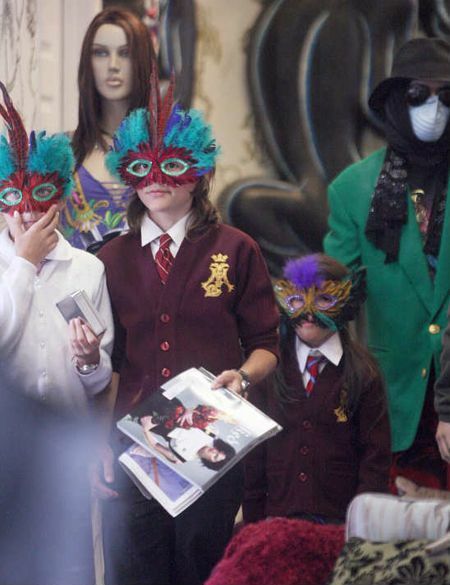 Prior to that, the “King of Pop” led an insanely private life and kept his children’s faces shrouded from the public using masks. Nowadays, Paris is keeping her face the center of attention. Best known for her piercing blue eyes, she’s appeared on various magazine covers, such as CR Fashion Book and Rolling Stone. Paris is not a runway model—she prefers to show off the garments on the sidelines, sitting front row at shows like Stella McCartney, Calvin Klein and Givenchy in their clothes. She sets herself apart from the traditional model appearance, choosing to cover herself in tattoos and formulate her own boho style. Lily-Rose’s classic good looks come from none other than her dad, Johnny Depp, and mom, French singer-actress-model Vanessa Paradis (the face of Chanel in the ‘90s). She began her runway debut at Chanel’s Métiers d’Art in 2016. Gabriel-Kane’s parents are award-winning actor Daniel Day-Lewis and French actress Isabelle Adjani. Gabriel Kane bears a shocking resemblance to his father, intense gaze and all. His first appearance at Chanel Paris Fashion Week 2015, escorting Julianne Moore, caused headlines all over the internet. Gabriel-Kane has campaigned for brands such as Hudson Jeans, Calvin Klein Platinum and Fay. He’s also an aspiring musician, releasing his first single in 2015 and album, Every Scar Is a Healing Place in 2016. Most recently, he’s taken to the catwalk for Milan Fashion Week alongside actor Pierce Brosnan’s son, Paris, and is currently campaigning for Tommy Jeans. His music has taken diverse turns—he says he’s still finding his nice. Christian, son of Sean “Diddy” Combs, signed to IMG Models this past January. His runway debut for Dolce & Gabbana’s Fall ’18 menswear show received positive reviews. Christian seeks to combine music and fashion. “I think music and fashion goes hand in hand, so I want to continue finding creative ways to incorporate my songs with fashion projects,” Christian told Vogue. He’s released several singles under the name ‘King Combs’ and even walked to his song ‘Type Different’. It’s not hard to imagine that he could do something innovative. His father launched the brand Sean John in 1998, and while it wasn’t well-received at the time, now the brand receives more than $400 million annually. While the brand is sold exclusively at Macy’s, it gives the general public an option for diverse streetwear at a lower price. Christian and his dad share one vital trait—their work ethic. “Every day, you gotta keep progressing. If you get nothing done, then you’re backtracking,” He tells Page Six. Some may rant and rave about the so-called ‘nepotism models,’ but while they are flooding our newsfeeds and timelines—they’re here to stay. Why not sit back and embrace them? I’m a junior magazine journalism major minoring in fashion media! I absolutely love finding any reason to do my makeup–fake lashes are my favorite product–and also love shopping, reading and writing, hanging with friends, and being outside (preferably on the water).